Rabbits are the perfect creatures... or are they? Watch the new Peter Rabbit trailer now below and see the movie in Philippine cinemas this February 2018. 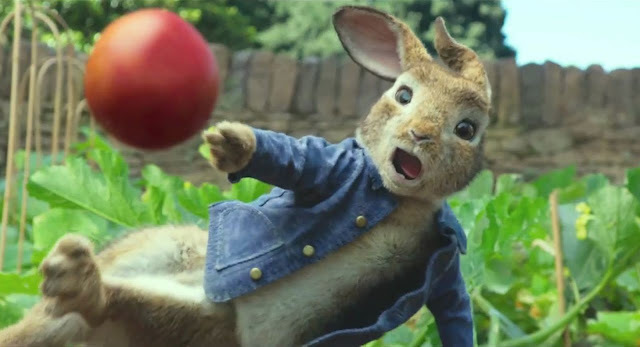 Sony Pictures Animation's Peter Rabbit brings all of the audience-favourite Beatrix Potter characters to the screen in a brand-new, modern adventure. James Corden brings the mischievous Peter to life, with Rose Byrne in the female lead role of Bea and Domhnall Gleeson as Mr. McGregor. Margot Robbie, Elizabeth Debicki, and Daisy Ridley will voice the roles of Peter’s sisters Flopsy, Mopsy, and Cottontail. In Peter Rabbit, the mischievous and adventurous hero who has captivated generations of readers now takes on the starring role of his own contemporary comedy. In the film, Peter’s feud with Mr. McGregor (Domhnall Gleeson) escalates to greater heights than ever before as their fight to gain control of McGregor’s coveted vegetable garden and the affections of the warm-hearted animal lover who lives next door (Rose Byrne) extends to the Lake District and London.